The breakthrough novel from Germany's most acclaimed young writer. The story of a house outside Berlin, witness to the twentieth century's beauties and brutalities, to which many people come, all of them looking to find a home. By the side of a lake in Brandenburg, a young architect builds the house of his dreams - a summerhouse with wrought-iron balconies, stained-glass windows the colour of jewels, and a bedroom with a hidden closet, all set within a beautiful garden. But the land on which he builds has a dark history of violence that began with the drowning of a young woman in the grip of madness and that grows darker still over the course of the century: the Jewish neighbours disappear one by one; the Red Army requisitions the house, burning the furniture and trampling the garden; a young East German attempts to swim his way to freedom in the West; a couple return from brutal exile in Siberia and leave the house to their granddaughter, who is forced to relinquish her claim upon it and sell to new owners intent upon demolition. 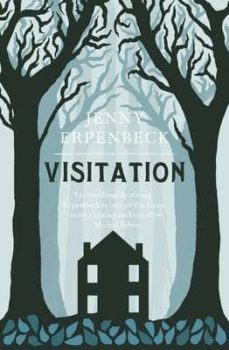 Reaching far into the past, and recovering what was lost and what was buried, Jenny Erpenbeck tells an exquisitely crafted, stealthily chilling story of a house and its inhabitants, and a country and its ghosts.